Le Jardin Potager is one of the most beautiful wedding villas in the Latium. The venue, an elegant restaurant suitable for weddings, is in Rome, close to the center of the city. Take the GRA (ring road) towards Naples, exit 24-Ardeatina. Take the GRA (ring road) towards Fiumicino-Civitavecchia, exit 24-Ardeatina. 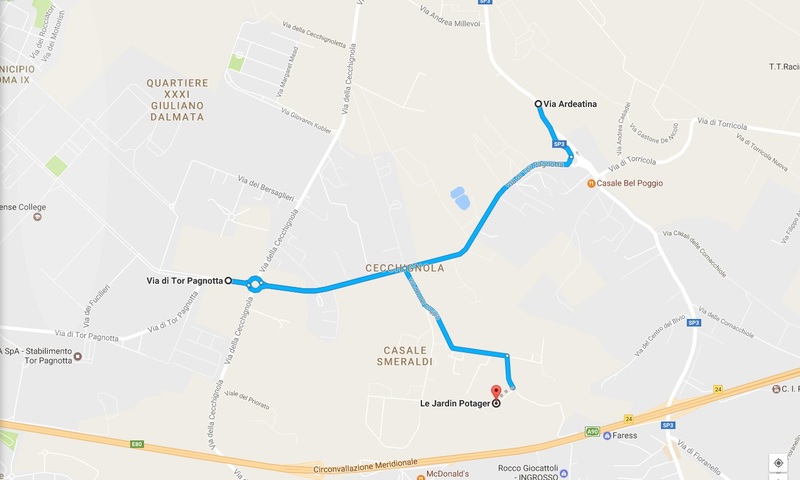 » Turn right and take Via del Bel Poggio.